China (mainland) Hebei Shijiazhuang,No. 20, Kaitai Street, Qiaoxi District, Shijiazhuang City, Hebei Province, China. 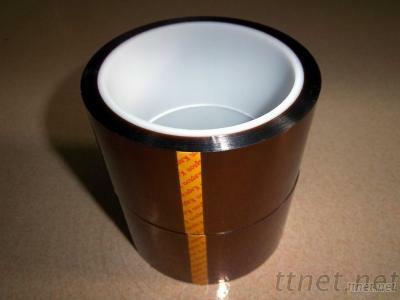 Polyimide adhesive tape is polyimide film coated with heat-resistant silicone resin by process of baking. It has wide operating temperature and high dielectric strength with exhibition of resistant to chemical attack and flame retardant. Application: widely used in high temperature masking protection in electronics industry. Specifications can be produced according to clients requirements.